While President Trump is Making America Great Again, liberals are losing their collective minds. You may have heard of a term called Trump Derangement Syndrome, a mental condition in which a person has been driven effectively insane, abandoning all logic and reason due to their hate for Donald Trump. You probably know some people that fit this bill of health. But one disgraced NFL player has a new idea to combat President Trump. When you hear the word “disgraced” in regards to the NFL, you likely associate that to former San Francisco 49ers quarterback, Colin Kaepernick.But not in this case. 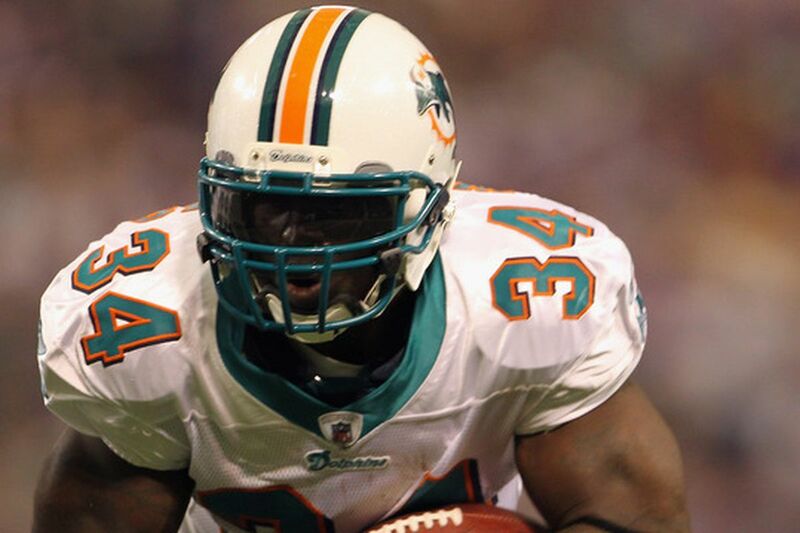 Do you remember former Miami Dolphins running back savant Ricky Williams? The 1998 Heisman Trophy winner, at the drop of a hat, quit playing football and moved to an island to spend the rest of his life smoking marijuana after being twice suspended by the NFL for that very reason. Williams may see himself as enlightened, but many abusers of marijuana make strange and incoherent arguments. His comments aren’t that surprising considering he gave up millions because he couldn’t stay off the weed. He currently offers psychic readings, crystal healings and yoga at his Mystic Journey store in Venice, California, so that should tell you a lot. However, it is a shame he threw away his career for a vice. He sincerely could’ve gone down as one of the greatest running backs to ever play in the game. But if you’ve ever seen the ESPN 30 for 30 documentary about his journey, then you know he was always a spacey individual. One time he lied to the NFL that he hadn’t smoked weed the day before a drug test. When he tested positive, he said he accidentally forgot that he had smoked earlier that day. His philosophy about Trump is fascinating, but it’s a bit out of this world.